While often thought of as passive victims or repositories of propaganda, in reality North Koreans exercise a great deal of agency. North Koreans have been practicing black market capitalism since the famines of the1990s, subverting the state for the sake of their survival. Approximately 60~% of North Koreans use private markets for their main source of food. [Commodities flow through the Chinese border, such as rice cookers and DVDs, and disperse via a network of traders and merchants. The state tolerates it because it must. Without this informal economy, society would collapse. That being said, tolerance isn’t acceptance. The capital accumulated by this capitalist class is regarded as a threat, since it represents a kernel of power beyond official control. North Korean domestic politics are defined by the tension between the government and this class. A product of this tension has been the politicization of currency, leading to a situation where everyday North Koreans find themselves using forbidden currencies, often of nations they officially despise — US dollars, euros, and Chinese yuans (also known as the renminbi). The issue has its roots in North Korea’s 2009 currency reforms. These reforms were, in practice, a simple redenomination, where North Korea removed two zeroes from its currency, the won. North Koreans had less than a week to trade in their old notes for new ones. The amount they could exchange was limited, equaling approximately $260 USD. While a merchant could bypass this limit by having friends exchange part of their wealth for them, the short trade-in window rendered that mostly impossible, particularly when factoring in the importance of not outing oneself as a black market trader. In practice, the reform decimated the wealth of the capitalist class, which had stored its wealth in local currency that was now effectively worthless. Local merchants never forgot this. They, along with the majority of the population, lost its trust in the won. This caused a brief period of hyperinflation, which exacerbated this loss of trust. People started trading and storing their wealth in foreign currency. The currency reform had underestimated the resilience and necessity of informal capitalism. The informal economy was accidentally and rapidly dollarized. Rather than reducing the power of grassroots traders, the reform ironically made them more autonomous by pushing them towards a system where they were free from state monetary policy. The loss of trust has been so profound that, in the ten years since the reform program, local traders show no signs of returning to their local currency. North Korea watchers now instead focus on asking what foreign currencies are most popular, and what the implications of that might be. While at first US dollars were dominant, sanctions restricted their supply, meaning that, oddly enough, North Koreans started trading with euros[. However, the supply of euros into the North Korean market is relatively low. The Chinese yuan, in contrast, floods into North Korea through the porous Chinese-Korean border, along with Chinese commodities. In border regions, it’s estimated that 80% of informal transactions are made in yuan, while in interior regions this number is closer to 50%. This matters for a variety of reasons. Regardless of which foreign currency dominates North Korea’s foreign market, North Korea’s ability to control its economy is relatively limited. Its ability to affect change by printing more money, as it could do to stimulate production and reduce unemployment, is mostly moot. Instead, North Korea’s economy is subservient to foreign monetary policy. For example, China has been accused of currency manipulation, keeping the yuan artificially cheap. This helps keep Chinese exports competitive, but has also been a point of contention in US-Chinese relationsand an impetus for Trump’s Chinese trade war. Should this policy change, and should the Chinese allow their currency to appreciate to market levels, that affects North Korea. Namely, traders who trade in yuan will see their wealth rise relative to those who trade in dollars. It also means that, if China decides to devalue its currency to address an economic crisis, North Korean traders will see their wealth cut. Yuanization of North Korea’s economy may have risks to Western security, possibly increasing the risk of conflict between North Korea and the United States. It could be argued that a dollarizedNorth Korea is a less belligerent North Korea. Political instability begets monetary instability, and so, as North Korea’s economy becomes more dollarized, American instability becomes more harmful to it. If the dollar crashes or fluctuates unpredictability, then, in a dollarized North Korea, that stresses the already fragile system North Korean citizens have set up to feed themselves. There is also the significant symbolic value of having North Korean transactions mediated through the US dollar. Anti-American propaganda, enforced from the top down, loses its potency when everyday life is made possible by the use of American money, with each bank note acting as a reminder of the apparent virtues of America’s economic and political system. North Korea’s yuanization is a strategic loss to Western countries looking for ways to influence a country that is largely beyond influence. With Western sanctions against North Korea holding strong, and with China’s continuing dominance of North Korea’s foreign trade, both legal and illegal, it seems that North Korea’s economy is bound to become increasingly yuanized. 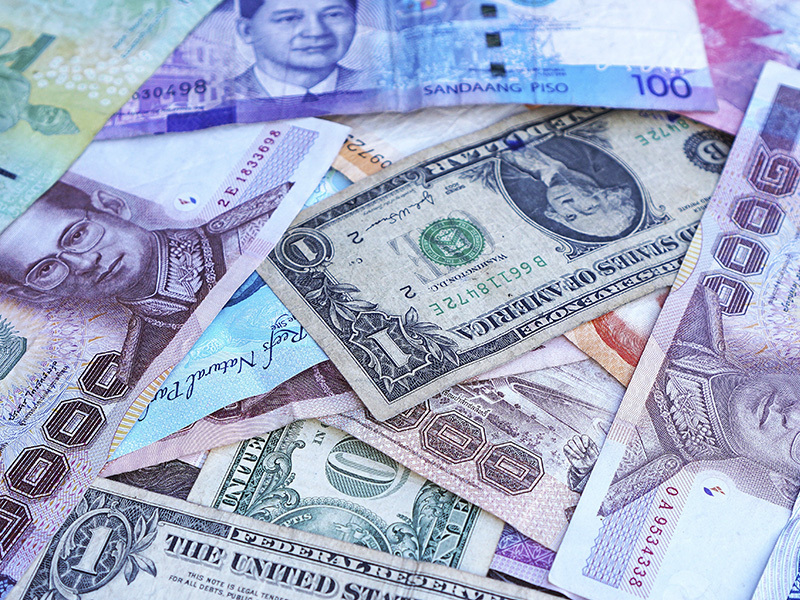 There are just simply too few ways for other currencies to enter the local market. Non-Chinese currency flows into the country via various state initiatives, such as remittances by North Korean slave workers contracted out in the Middle East, or via state-backed cyber-heists. However, these flows go directly to the government and fail to flow through the economy as a whole, as the Kim regime mostly uses foreign currency to buy weapons and extravagances. For the average citizen, the yuan is the most available and secure tool for securely storing wealth, and with which to avoid the caprices of the North Korean state. If North Korea is likely to become the world’s first yuanized state, policymakers should take note of what happens. Yuanization is a serious concern among East Asian countries, who fear that a flood of Chinese money will undermine control over their economies. Despite North Korea’s many idiosyncrasies, it might give insights into how yuanization could affect the region as a whole.